With only three days before the World Cup kicks off, the majority of the national teams set to participate in the tournament have made their way to Brazil. 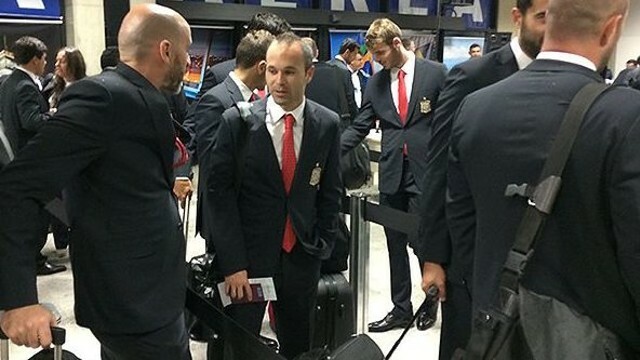 The Spanish national team arrived in Brazil from the United States on Monday morning, they completed their first training session in Curitiba that afternoon. Alex Song’s Cameroon also arrived in Brazil after disputes over World Cup bonuses were resolved with the county’s FA. Messi and Mascherano’s Argentina were given a hero’s send off before the trip to Belo Horizonte. This Monday, Dani Alves held a press conference ahead of the opening match of the World Cup, which is scheduled for Thursday. “We’re very eager for the World Cup to start,” he said. “Spain are favourites because they are defending the title,” he added. The right back concluded the press conference by saying that he hopes for a Brazil-Argentina final and that he’s “sure Neymar will leave his mark” on the tournament.